Jamestown was never more proud of their favorite daughter, and TV’s biggest star was never more proud of her hometown. 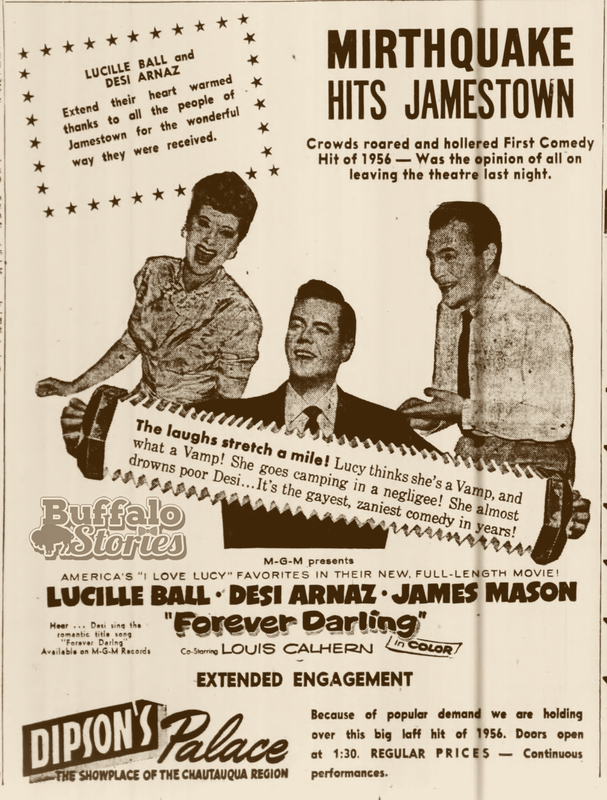 That was the headline in an ad promoting Forever Darling in the Jamestown Post Journal in February, 1956, as Lucille Ball and Desi Arnaz visited Jamestown for the world premiere of their new movie at Dipson’s Palace Theater in Jamestown. 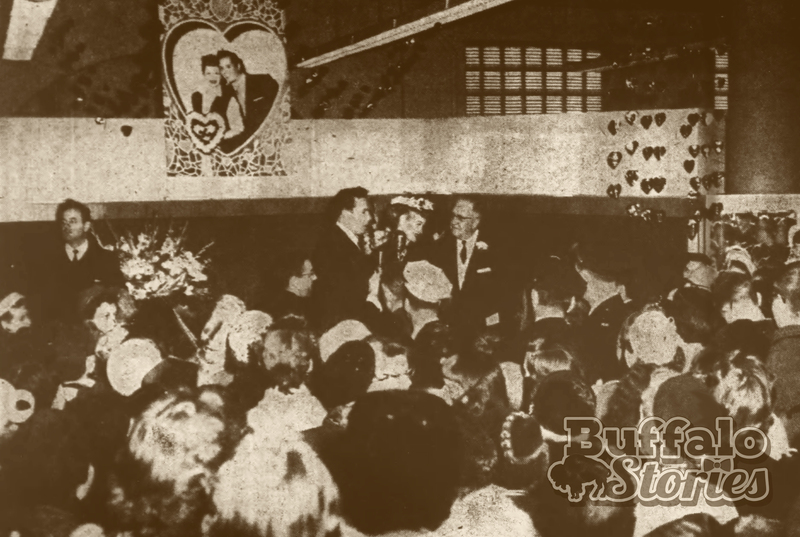 The stars of “I Love Lucy,” Lucille Ball and Desi Arnaz arrived by helicopter and took Jamestown– and the nearby Village of Celoron, where Lucy actually grew up– by storm. 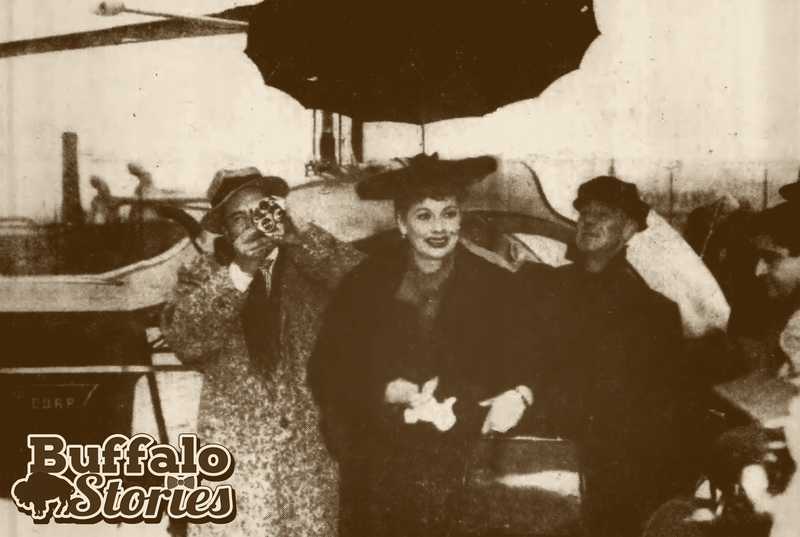 Lucille Ball arrives on the field outside Jamestown High School via helicopter. 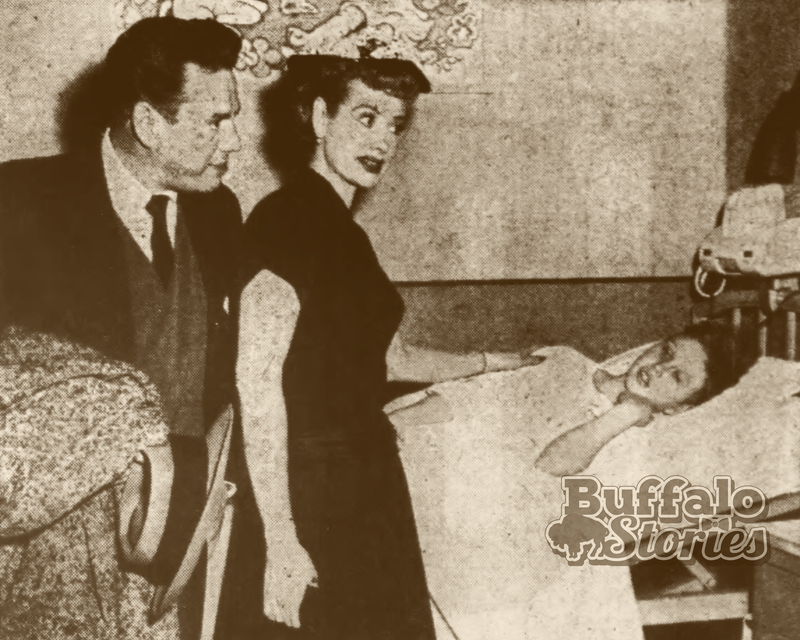 Among the spots Lucy visited were Jamestown General Hospital, Bigelow’s Department Store and the Crystal Ballroom in the Hotel Jamestown. 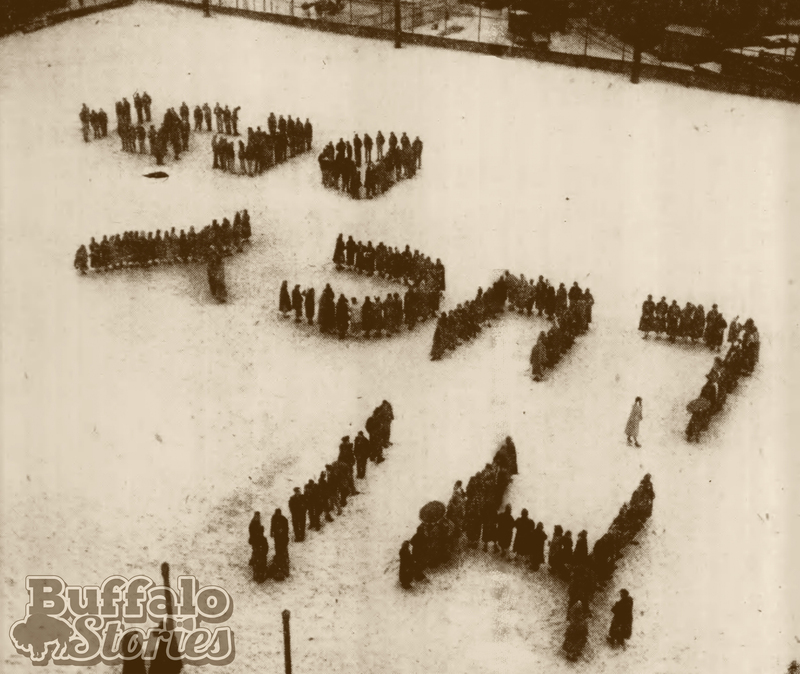 The headlines screamed that 25,000 people turned out on a cold snowy February day in Chautauqua County– to see the homecoming of American Pop Culture’s biggest star of the early TV era. 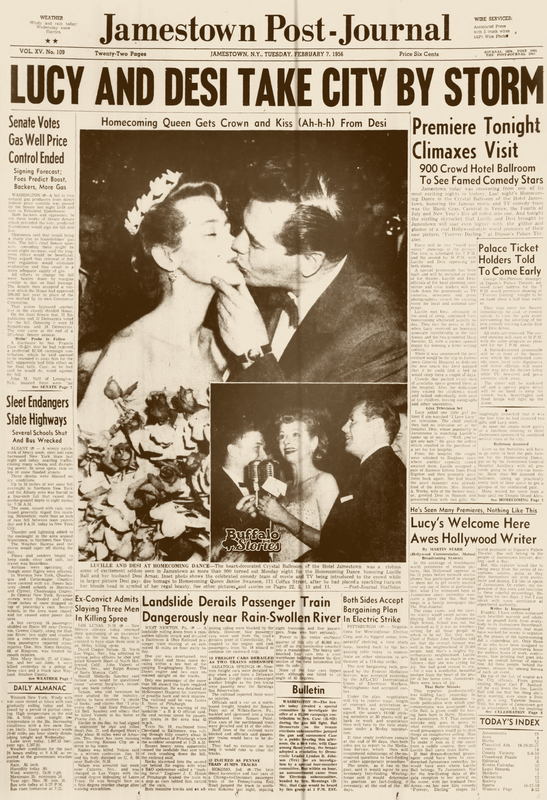 When her helicopter landed outside Jamestown High School, she was greeted by a marching band and dozens of students lined up to spell HI LUCY AND DESI, visible from the air. That same sense of excitement in Jamestown today as the National Comedy Center opens in Lucy’s home town. 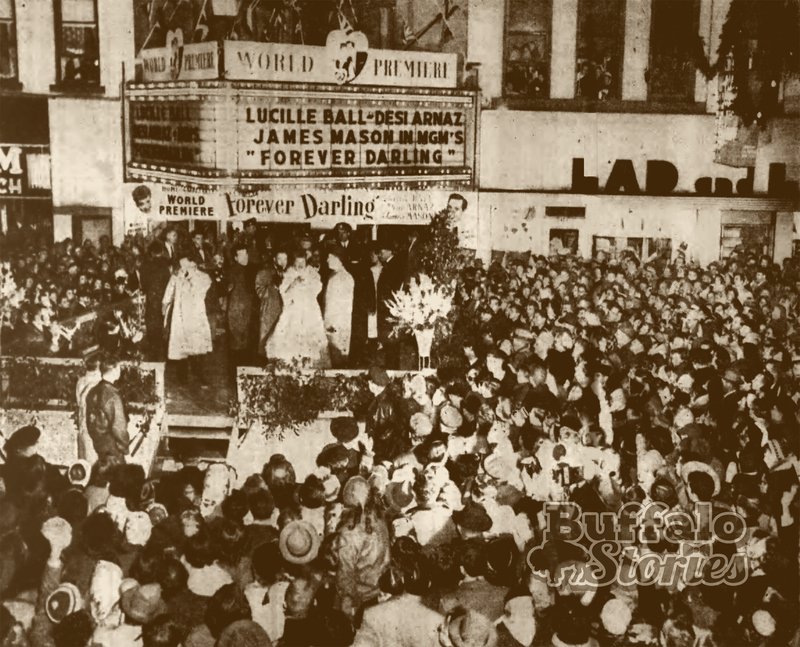 Throngs greet Lucy outside the Dipson Palace theater in Jamestown. Ball was proud of her Western New York and Jamestown heritage. 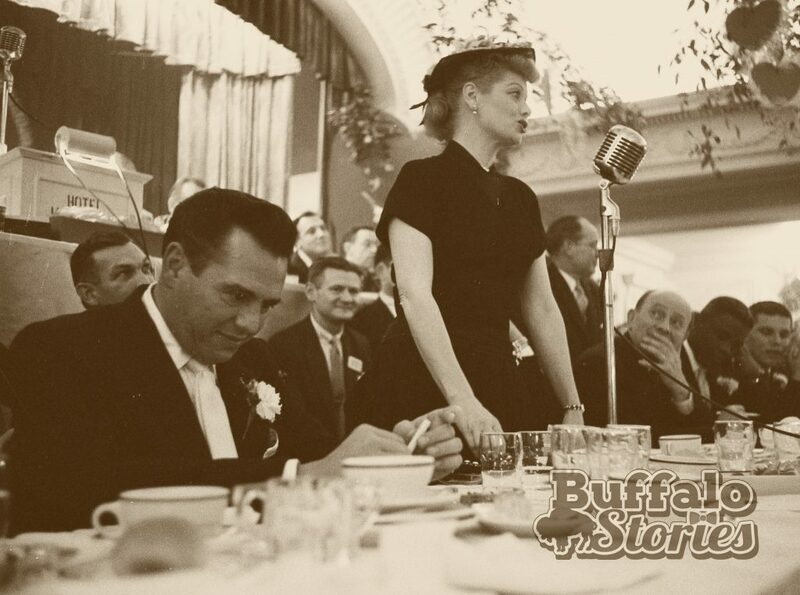 Just like the real life Lucille Ball, it was often mentioned that her TV character Lucy Ricardo grew up in Jamestown. 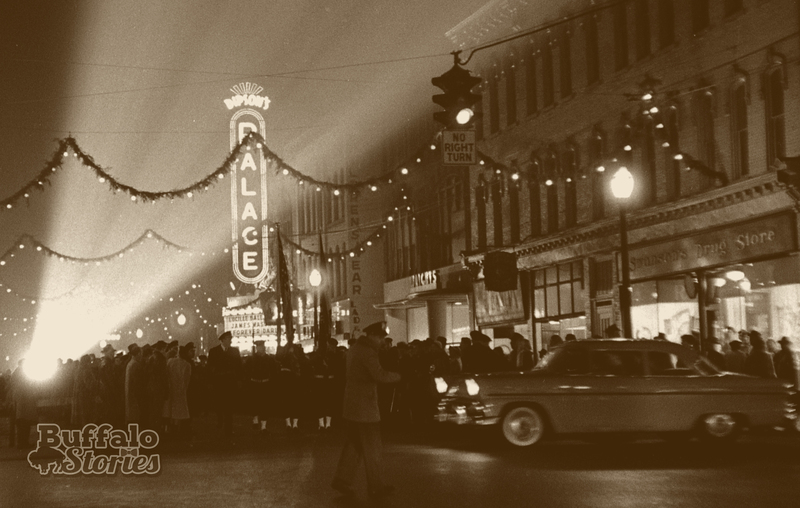 The crowd gathers under the marquee at The Palace Theater. 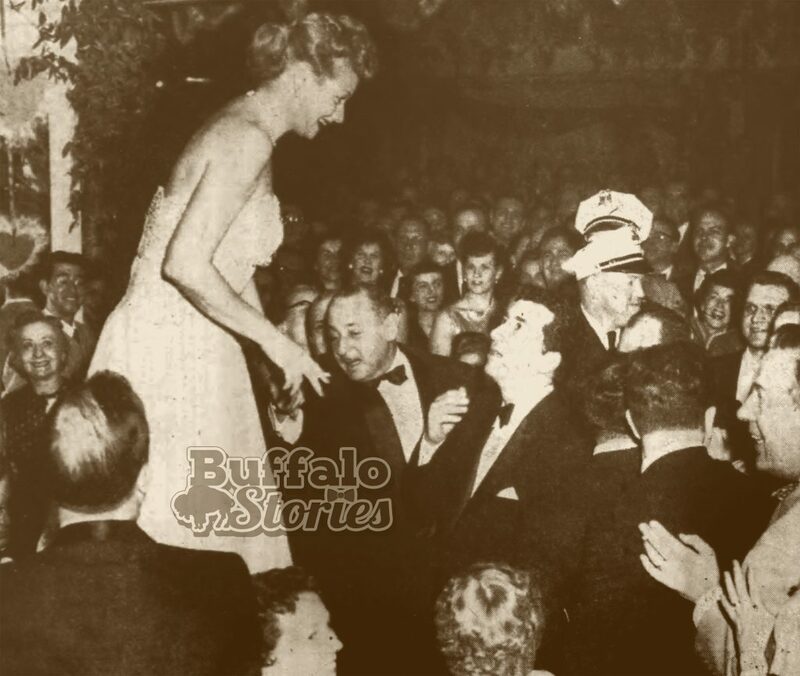 In talking about her life and career through the years, Lucy looked back at her 1956 visit to Jamestown, at the height of her fame, as a personal and career highlight, being able to give back to the area which gave her so much.